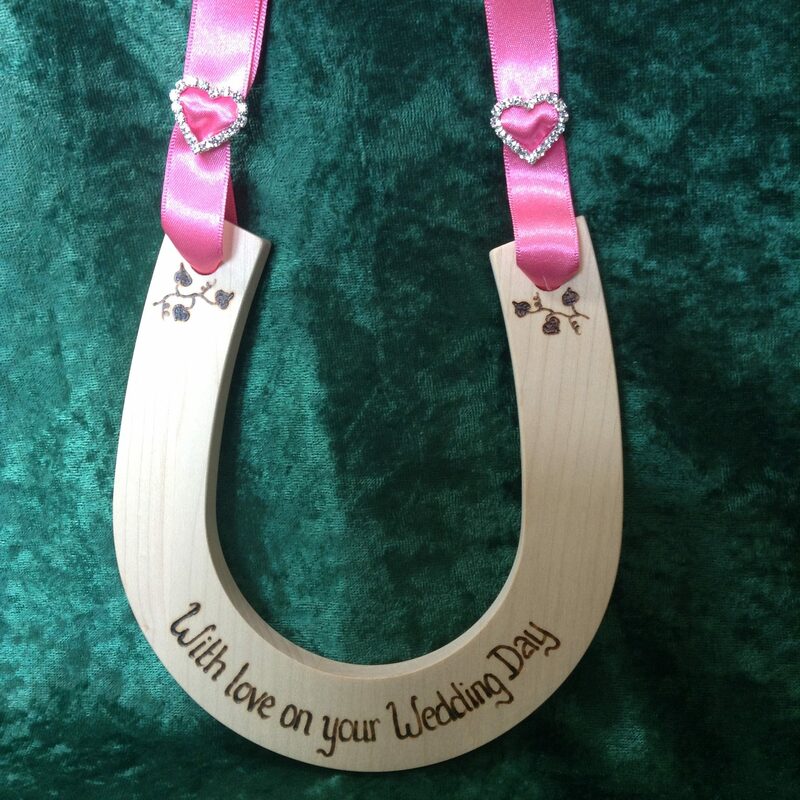 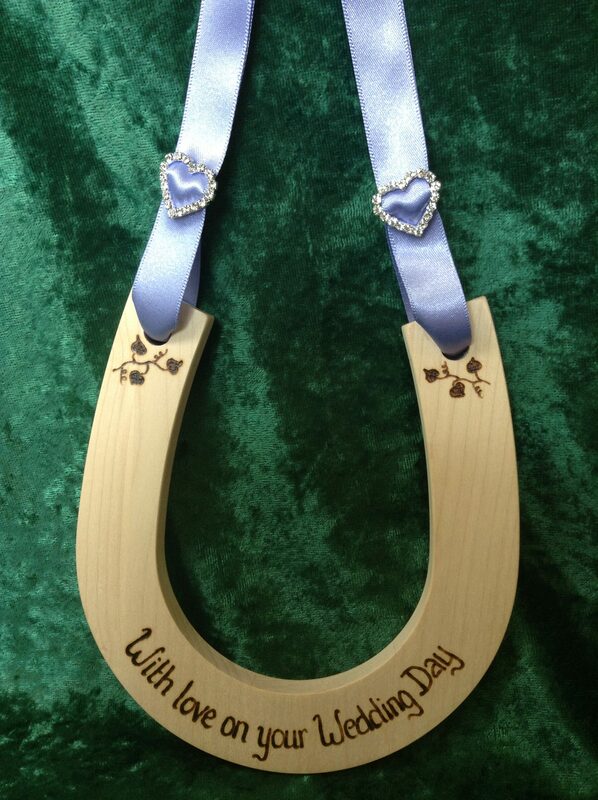 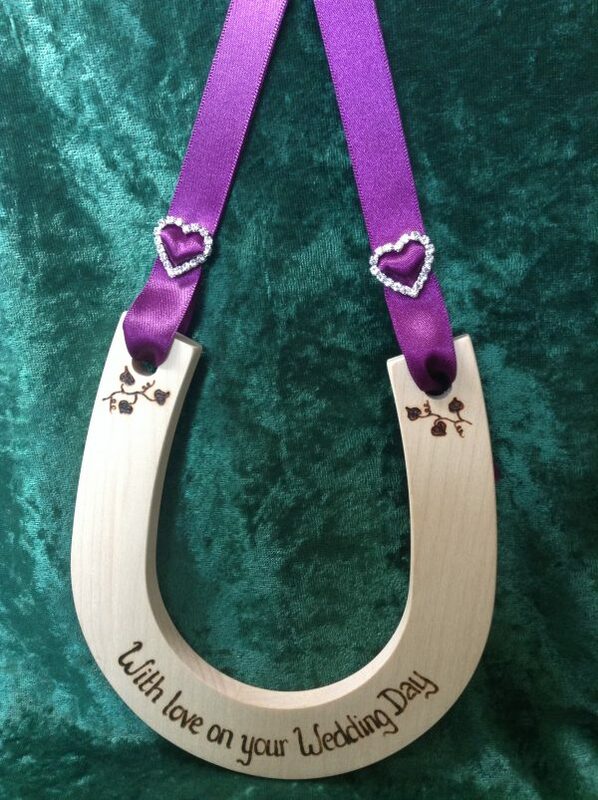 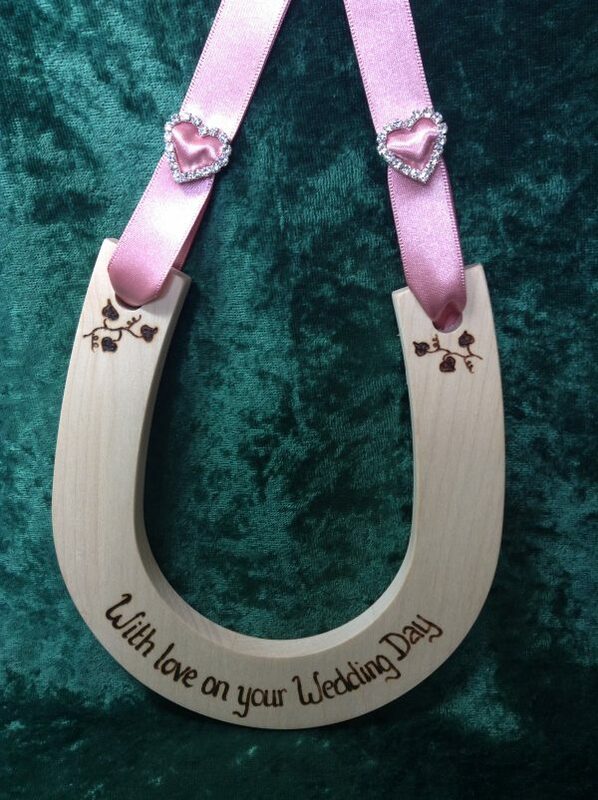 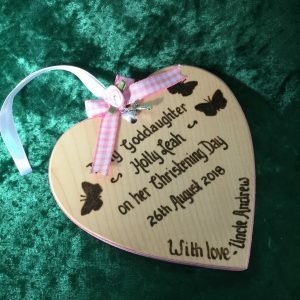 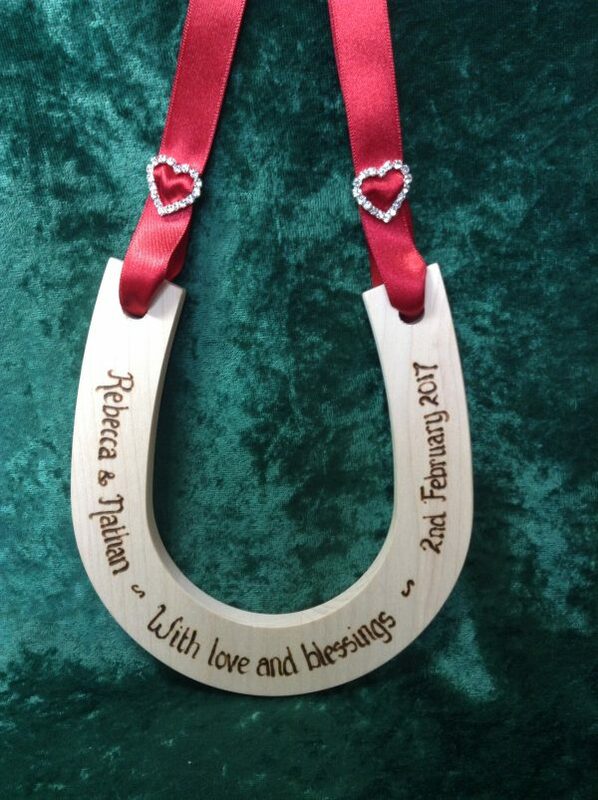 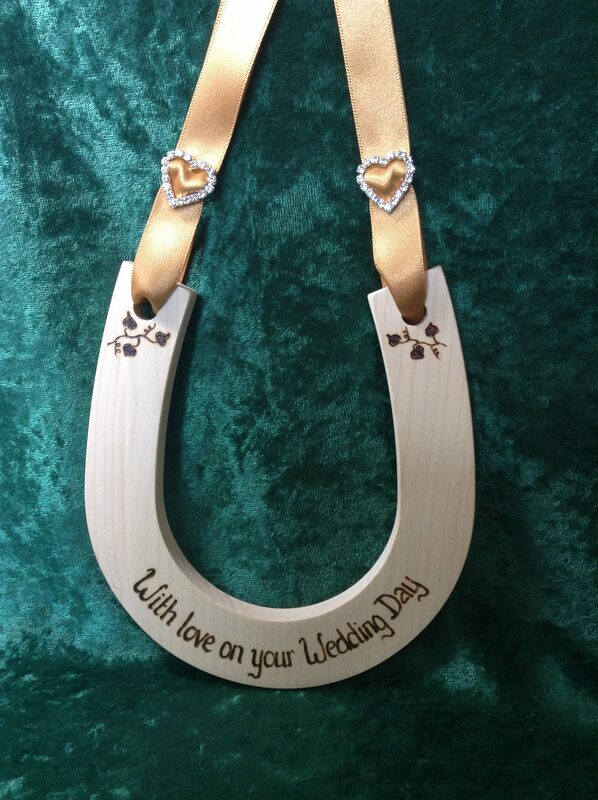 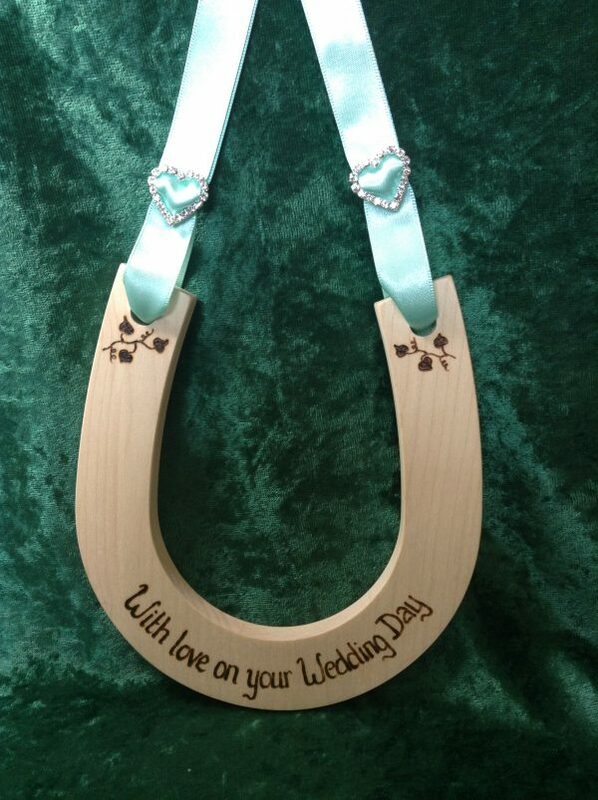 Diamante Heart Personalised Wedding Horseshoe. 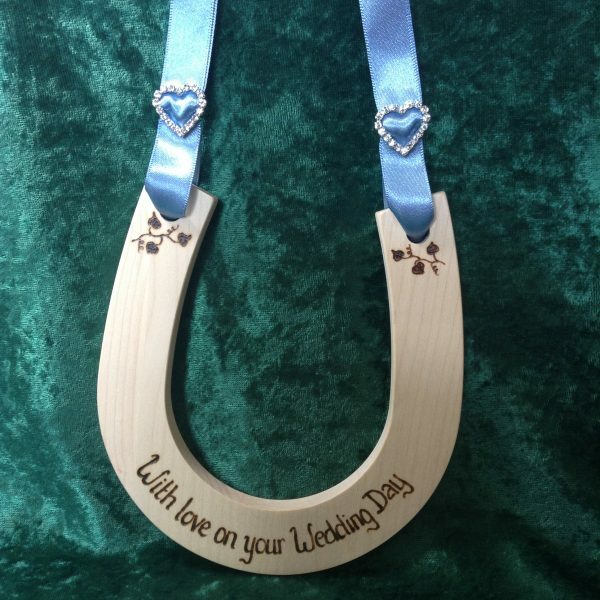 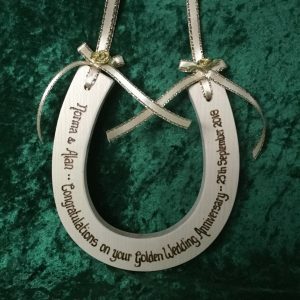 This wedding horseshoe has a diamante sliding buckle. 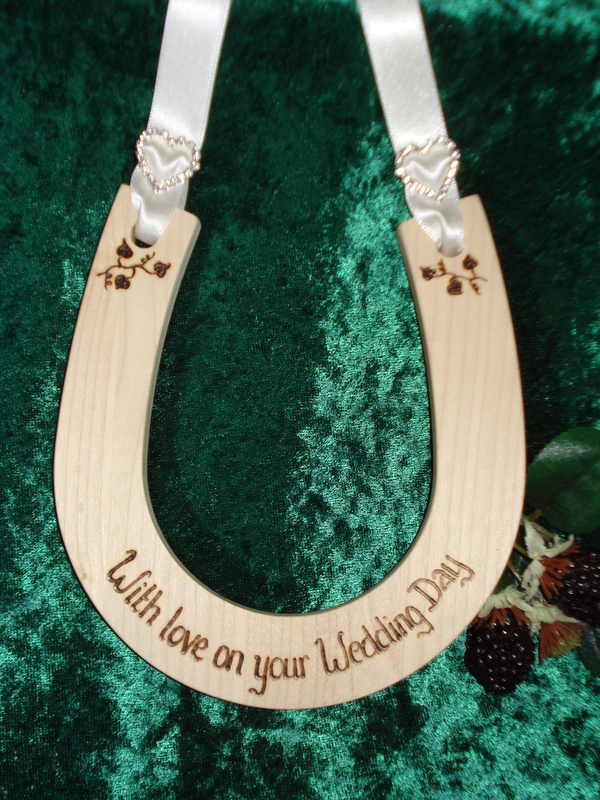 The buckle is available in the classic heart or horseshoe shape. 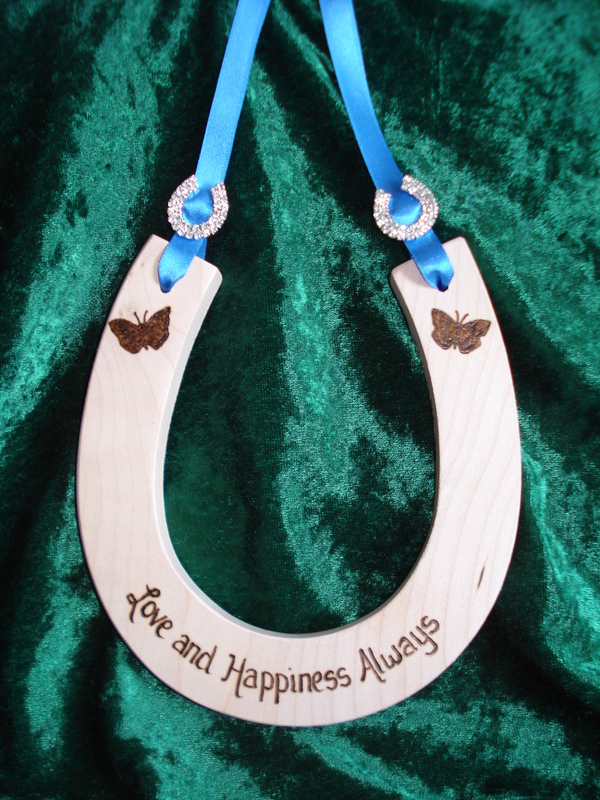 The horseshoe measures approximately 5.5 x 5.5 inches and is made from solid sycamore. 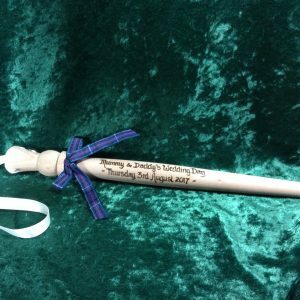 Luxury double sided satin ribbon is available in a lovely range of vibrant colours. 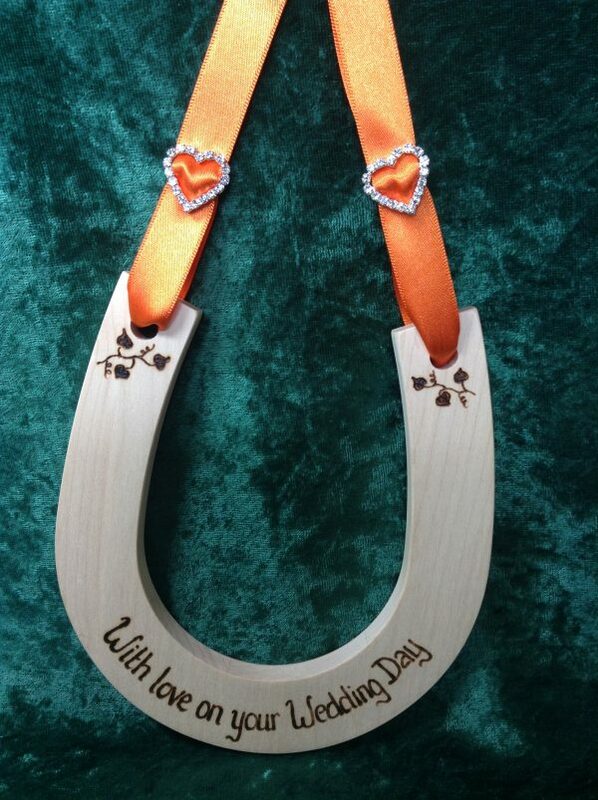 Other colours can be sourced if given enough notice. 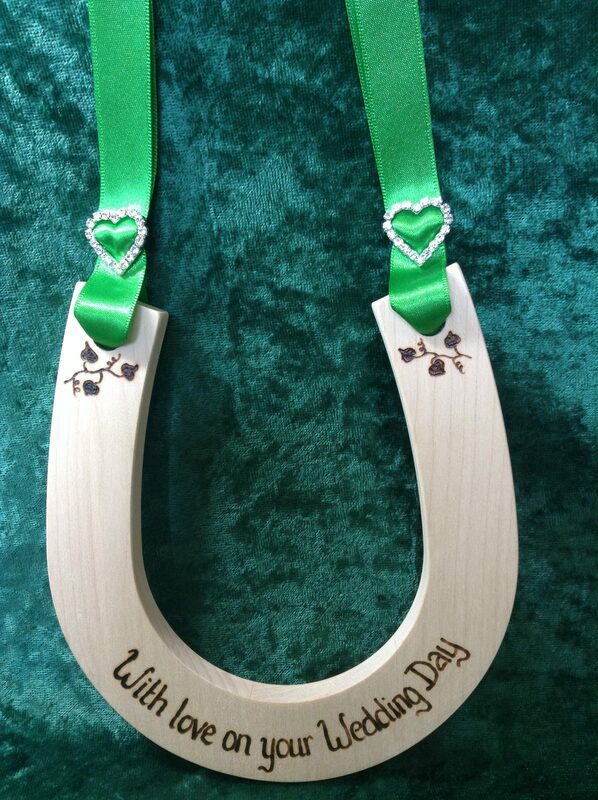 However the colour you require may be in stock already!